I was in Europe. 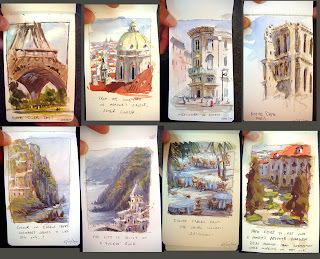 Sketching. 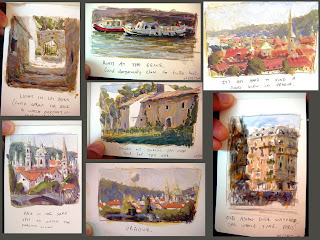 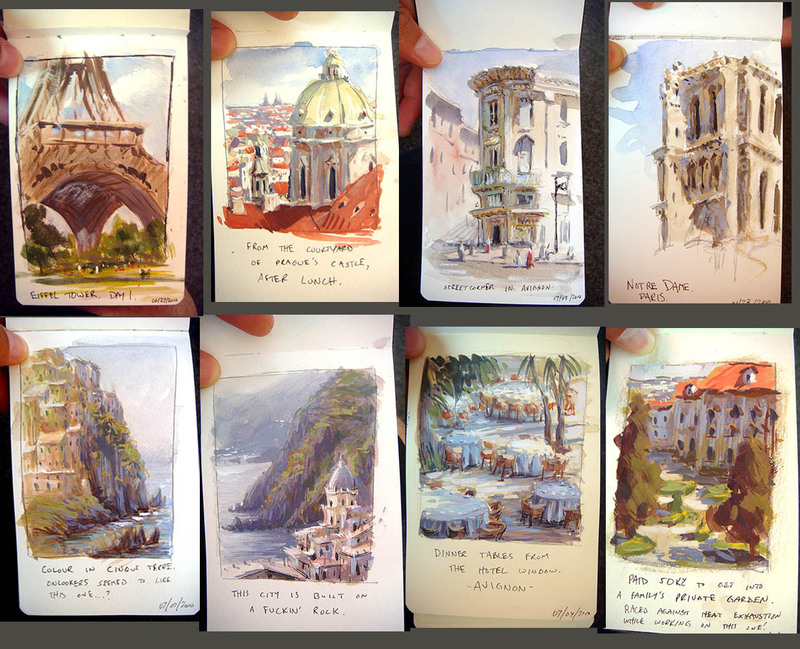 These are all watercolour with white gouache, on a small moleskine watercolour book.